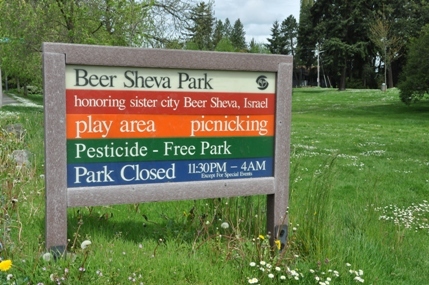 Beer Sheva Park in the Rainier Beach neighborhood is named for Beer Sheva, Israel, one of Seattle's International Sister Cities. 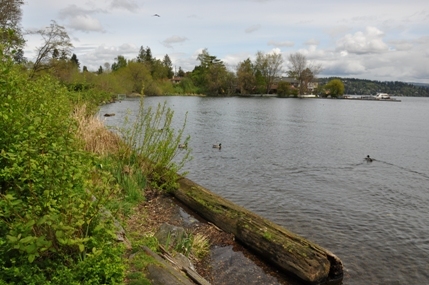 This small lakefront park has a nice view over Lake Washington to the Cascades. 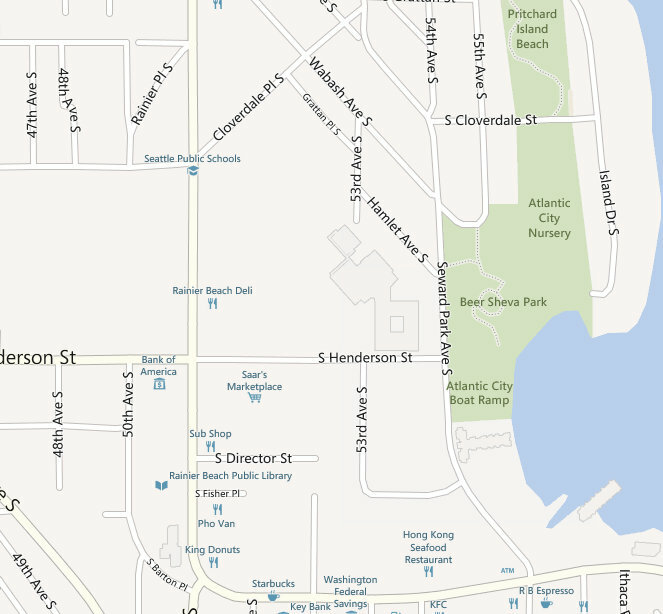 There is no public dock but the Atlantic City Boat Ramp is next to the parking area. 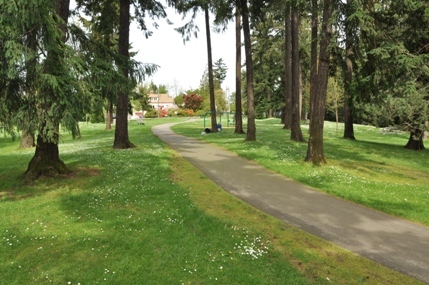 The park features lots of open area, picnic tables and children's play equipment. Beer Sheva is also a "Pesticide Free Park". 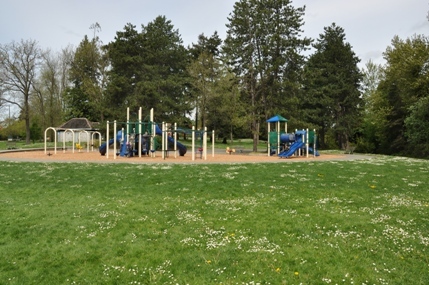 According to the county website, here is some history about the park. Once known as Atlantic City Park, the site was renamed in honor of Seattle's sister city in Israel, Beer Sheva, in 1978. When C.D. 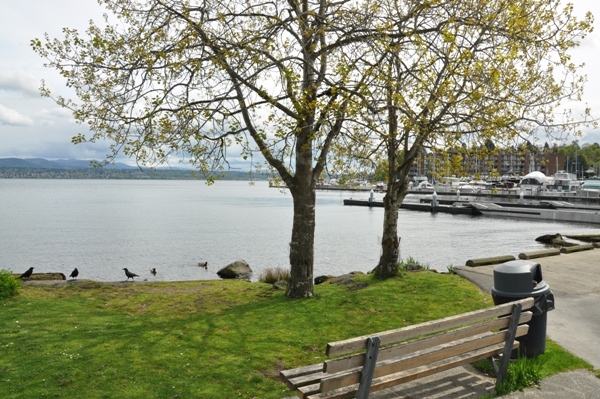 Hillman platted the area in 1905, the "Atlantic City Addition," there was a log cabin located about 100 feet from the corner of the park that was believed by local residents to be the birthplace of Princess Angeline, Chief Seattle's daughter. As the area grew, it became the terminus of the trolley line from Washington Street in downtown Seattle. The trolley operated the line from 1889 to 1936; when it was first built it was the longest interurban line in the state. The trolley in turn encouraged economic development along the line. 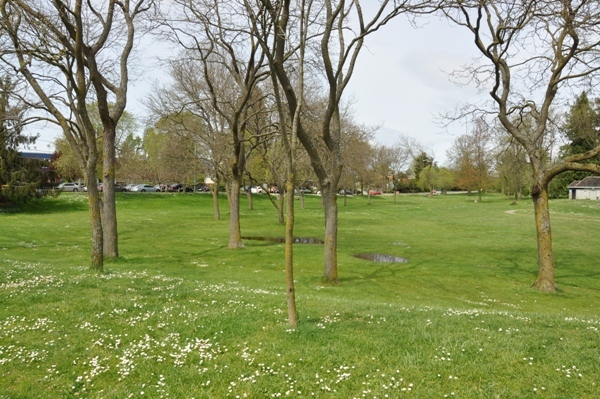 The dedicated park land was almost lost when realtors neglected to record the plat in 1905; when they finally did file a plat, it did not include the park land. 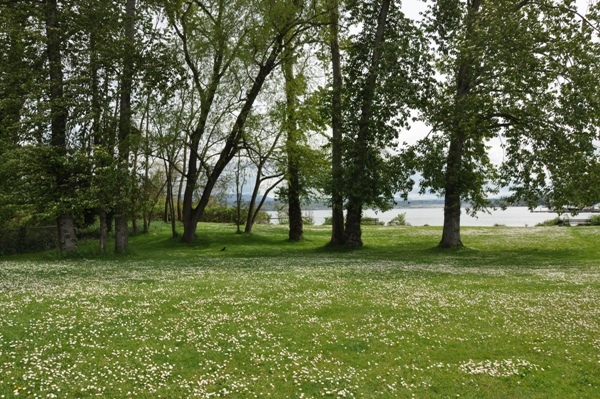 Fortunately a lawsuit by buyers of lots in the plat went to the state Supreme Court, which affirmed in 1907 that the park land had been dedicated to the public. 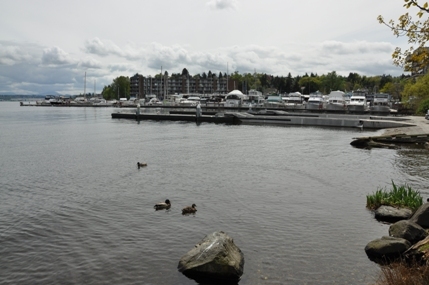 A lively boathouse rented boats, served refreshments, and provided free dressing rooms the opening of the Lake Washington Ship Canal lowered the level of the lake by nine feet in 1917. 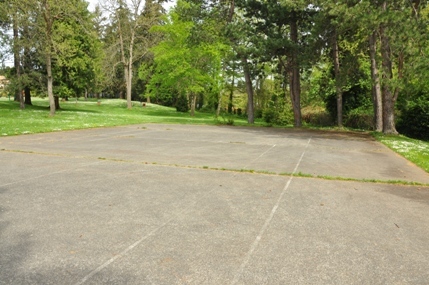 The boathouse was demolished, and a tennis court, picnic stove and play equipment took its place. During the Depression in 1940, the Works Progress Administration (WPA) built a new cobblestone comfort station, a new picnic shelter, and a stone drinking fountain. Park sign off Seward Park Ave S.